This post is sponsored by Smithfield, all opinions are mine alone. 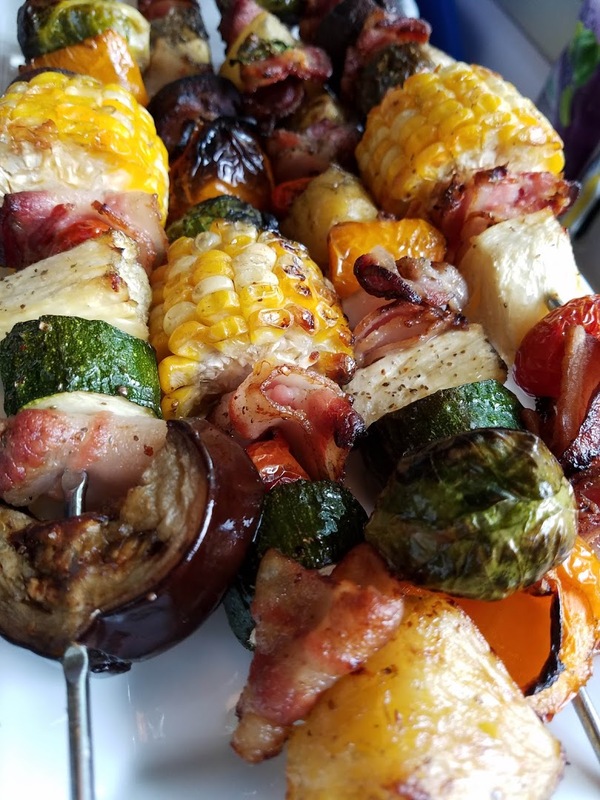 Delicious grilled Bacon, Pineapple, and Veggies Shish Kabobs are a fun and easy dinner that the whole family will love. My family and I enjoy Smithfield Bacon. We all know that everything is better with bacon. Whether bacon is crispy or chewy, it tastes great incorporated into these fun and delicious BBQ Bacon & Pineapple Kabobs. Smithfield Bacon is available in a wide variety of flavors and cuts, such as the classic Hometown Original, and is known for being smoked and cured to perfection. 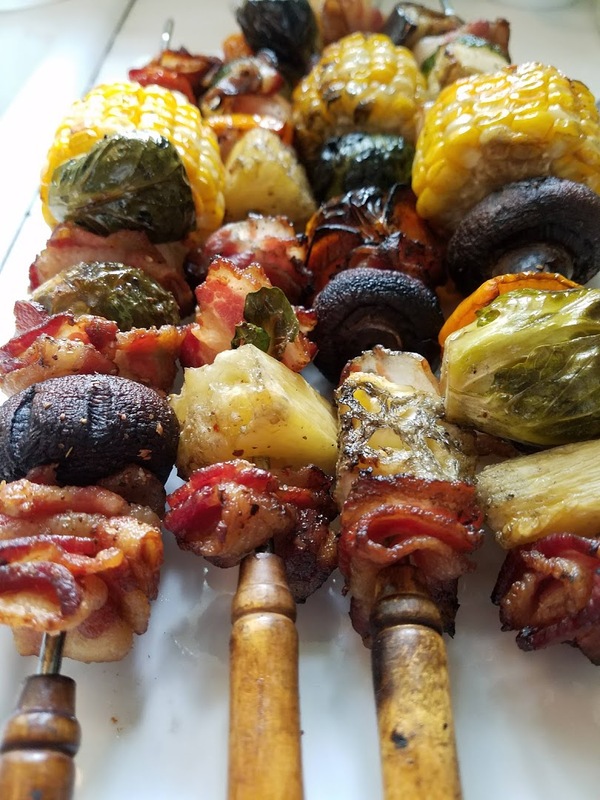 For us, it doesn’t matter how it’s prepared – crispy or chewy – it is delicious, especially when incorporated into these fun and delicious BBQ Bacon & Pineapple Kabobs. Smithfield offers their bacon in a wide variety of flavors and cuts, like the classic Hometown Original, and Smithfield’s reputation for smoking and curing their bacon to perfection is well-deserved! It’s simply delicious. The weather has been incredible here in Maine, perfect warm summer-like days. We are a year-round grilling family, so any excuse for pulling out the grill makes us so happy. Less clean-up is a win-win for me! BBQ Bacon & Pineapple Kabobs are so easy to put together, and are a real crowd pleaser. 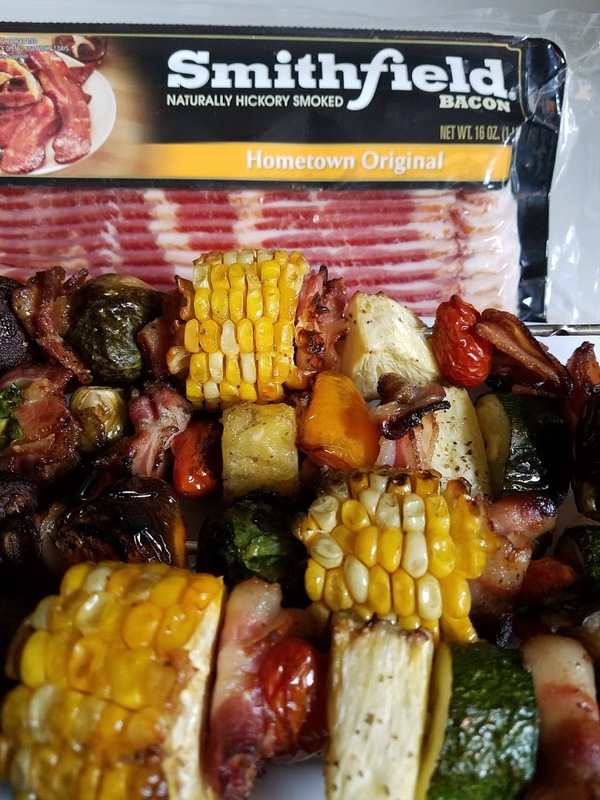 The colors and flavors are incredible with crispy bacon, full-flavored veggies, and pineapple all caramelized with a delicious grill flavor. The warm summer months are ideal for checking off those outdoor activities that you have been wanting to participate in with your family and friends. Take some time and create your own wonderful backyard moments with your family this summer. Relaxing weekends are opportunities to soak in the sun, have fun and enjoy delicious food and ice cold drinks. 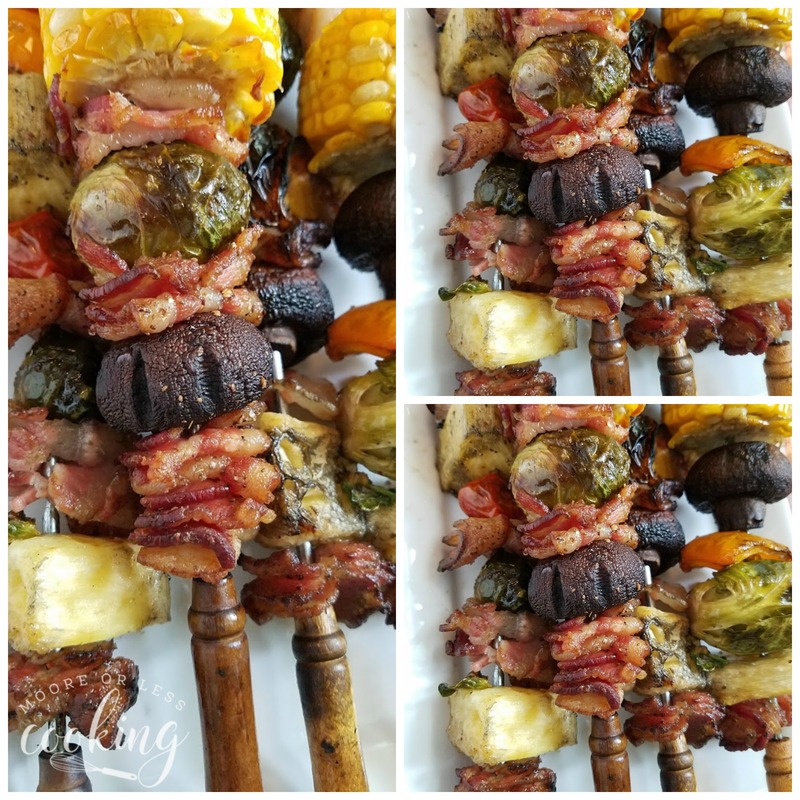 There is no time like the present to share this incredibly delicious BBQ Bacon & Pineapple Shish Kabobs. 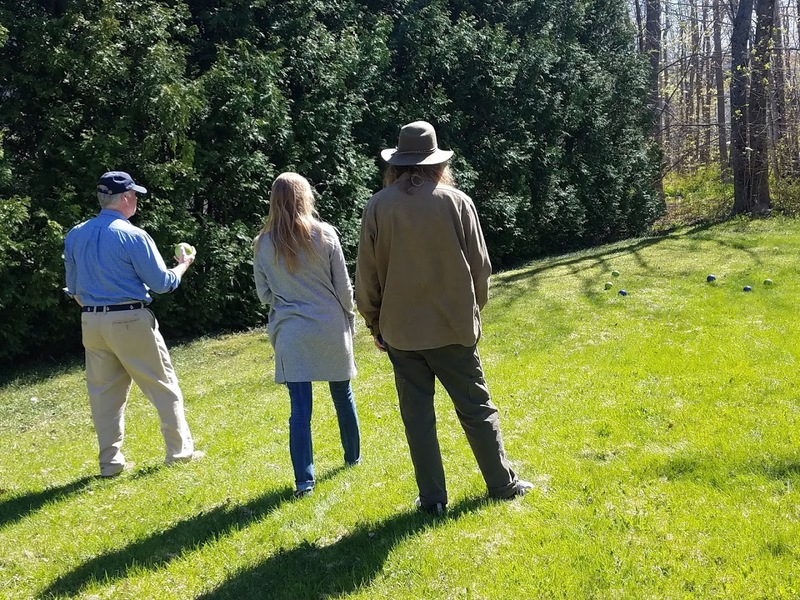 Our friends were visiting from Southern Maine, so we thought that a fun game of Bocce Ball would be enjoyed by all. The rules are simple and any age can play with adult supervision. We love playing on our sprawling lawn. When neighbors see us playing they ask if they can join in! Of course, the more the merrier! How to play Bocce Ball: Basic Rules. 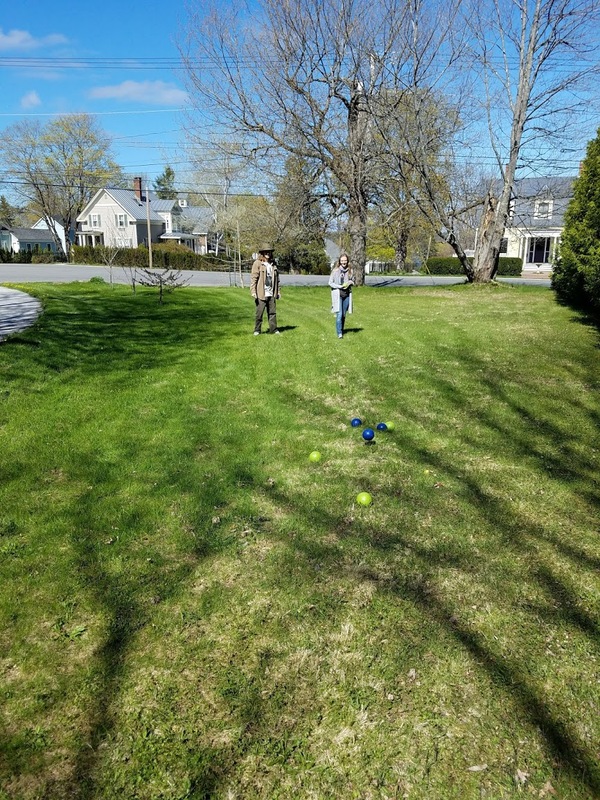 Bocce is played with eight large balls and one smaller target or object ball called a “pallino.” There are four balls per team and they are made of a different color or pattern to distinguish the balls of one team from those of the other team. For two-player teams, each player throws two balls. 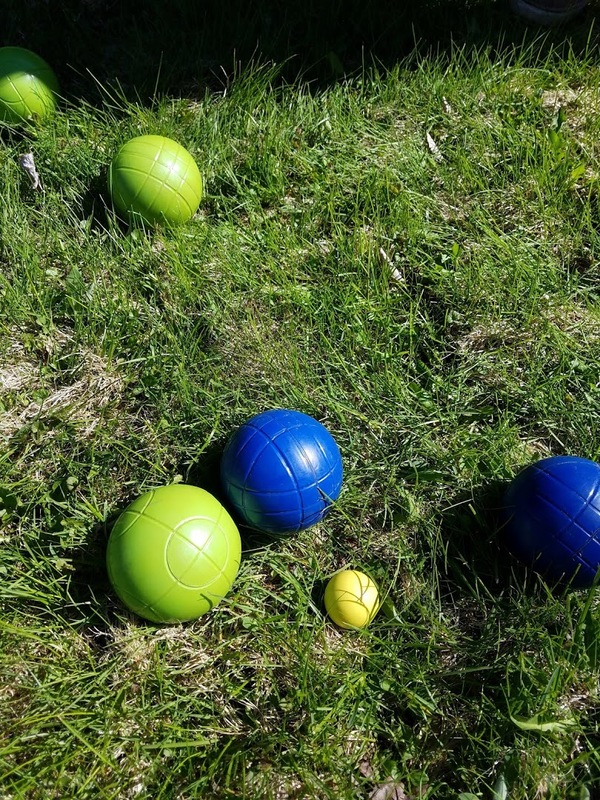 One point is given for each Bocce ball that is closer to the pallino (yellow ball) than the opposing team’s bocce balls. The pallino distance marker can be used to determine which balls are closer. The game continues until 12 points have been scored or to pre-determined points set by the players before the game starts. It’s so much fun and can be played anywhere! Gas Grill (spray the grill with vegetable oil before you turn the grill on). The prep for this meal takes about 15 minutes, for chopping the veggies and pineapple. Takes about 25-30 minutes to cook on the gas grill. We all know: Everything is better with bacon! 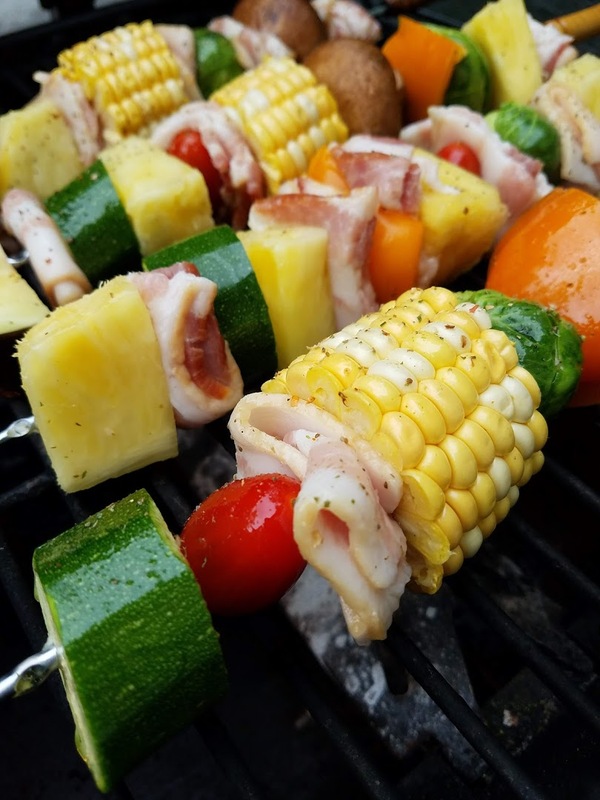 Whether bacon is crispy or chewy, it tastes great incorporated in this fun and delicious BBQ Bacon & Pineapple Kabobs with Smithfield Bacon. 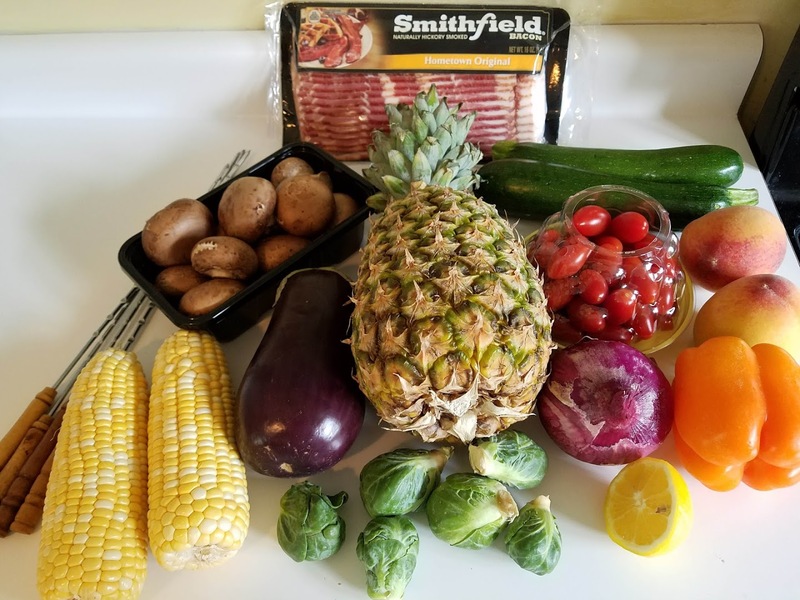 Smithfield Bacon is available in a wide variety of flavors and cuts, such as the classic Hometown Original, Smithfield’s bacon is known for being smoked and cured to perfection. If you make this recipe, make sure to use the #mooreorlesscooking.com to let us know that you made it!